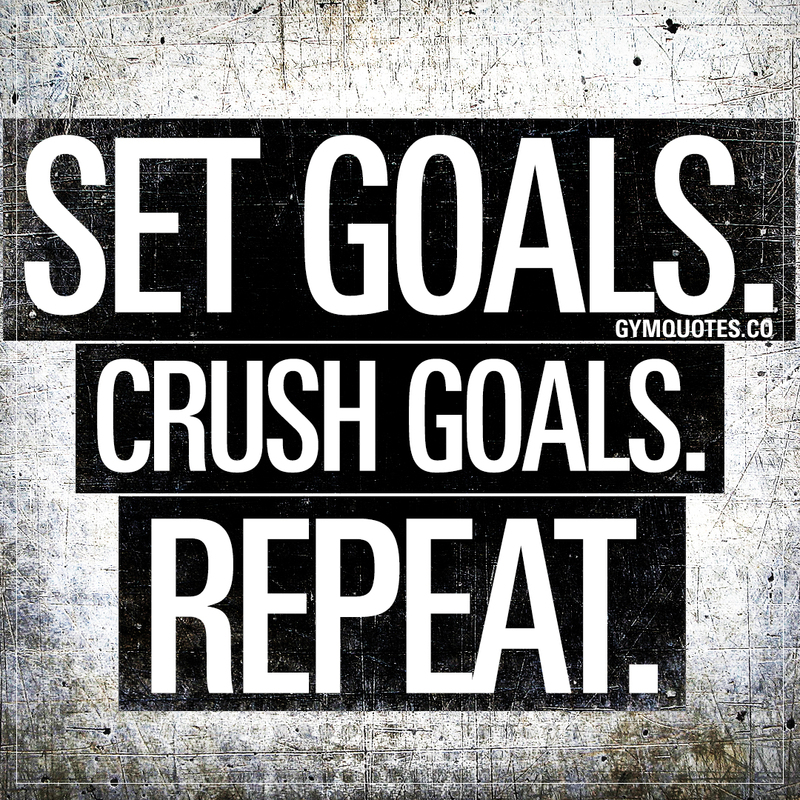 Gym Fitness quotes: Set goals. Crush goals. Repeat. Set goals. Crush goals. Repeat. Set your goals. Both short term goals and long term goals. Go beast mode and crush those goals. This “Set goals. Crush goals. Repeat.” quote (image and text) is copyright © Gym Quotes 2018. All rights reserved.